SecuraSoft™ Windows Live Mail to PST Converter is an efficient tool that allows quick conversion of Windows Live Emails or Contacts to MS Outlook PST & MSG formats. Download Software to convert WLM to PST / MSG. Tool also provides Auto detect option to search Live Mail data file or folder from your storage location while conversion. WLM to PST Converter provides Naming Convention to save result. The Windows Live Mail Converter exports all the data items like emails with all its attachments, contacts, calendar and all others items from WLM to Outlook PST and MSG files. The Windows Live Mail to PST Converter Tool can easily export bulk emails, contacts, calenders etc. It allows user to select and convert multiple Windows Mail files into Outlook PST/MSG in batch including all size of attachments & Keeps the Folder Hierarchy Intact. With this software user no need to worry about the location of stored Live Mail Files, the Windows Live Mail converter is wise enough to automatically detect the location and converts Windows Live Mail to PST or MSG. windows live mail to outlook Converter is the perfect solution to export wlm to Outlook as it gives user the complete preview of all the mails with their attachments before transferring data from wlm to pst or msg format. Once the entire files gets uploaded on the software, it will automatically starts the scanning process before export WLM emails & Contacts to PST file. This way user can get the Output threat free. The tool to converts WLM to PST/MSG allows users to split the size of the large resultant PST file into multiple smaller PST files as per the size you assign. This way you will reduce the chances of Corruption. The software allows Mail Filter option to filter out the selective group of mails by defining specified date range while WLM to PST conversion. With this Filter property user can exclude undesired data from resultant output. The Software allows user to perform export of WLM file for conversion in two ways either by selecting each mail or folder by check in method or all the files in a folder. 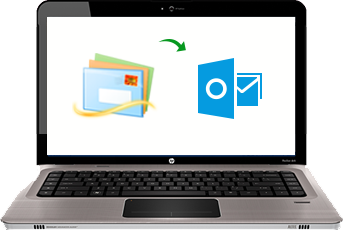 Software will enable you to select file and then transfer wlm to outlook. The Windows Live Mail Converter helped us in successfully importing large number of our WLM data Files into single PST file within few clicks without any effort. It saves our valuable time that could have consumed if import has to be done individually. The WLM to PST Converter not only provides easy to use interface for effortless conversion but also provides option to detect all the WLM files present in the system. Thanks to the team for developing such a great conversion tool. I would like to thank my friend who recommended this amazing tool. Windows Live Mail to Outlook Converter is an efficient software that imports all the data items from WLM to PST without any data difference. Thanks for giving us such a wonderful WLM to PST Converter software. The Software has exported multiple Windows Live Mail to PST/ MSG files along with its attachments that can be exported and used later on. The users of Windows Live Mail often finds it very difficult to manage multiple WLM files for their account as Windows Live Email stores each mails separately in single WLM file generating multiple WLM files. While, in Outlook the default storage provides one PST file for storing all the data items for each account. MS Outlook users have advantage as it has only one single data that they have to manage. The users of Windows Mail files can easily convert several Live Mail files into a common PST file for easy management with the help of the Windows Mail Converter. The Main Reason of WLM to PST Conversion is to Migrate Entire database from Mozilla Thunderbird, Apple Mail or Windows Live Mail to Outlook PST or MSG. Windows Live Email files offers typically basic properties of Emailing Application, whereas MS Outlook supports advance properties like Contact Management, Countless Add-ons and a lot more collaborative functionality. Sometimes when you switch your company you need to Convert Windows Mail files to PST or MSG as MS Outlook is the number one choice of every business entrepreneurs. Software to Export Windows Live Mail to PST file will makes you able to change the supporting email clients to Windows based MS Outlook. The Software gives you option to convert Multiple Windows Live Mail files to Outlook PST or MSG at once along with the preview of each mails with its attachments. The software keeps up folder hierarchy and preserves email formatting once WLM to PST Conversion is done.